Sharing stories while indulging in Indian-inspired cuisine. If you haven’t made specific plans to go to CreatureS, it’s a location that could be easily missed, sitting quietly on a corner between a small alleyway and a long row of shops, the only ‘modern’ looking facade along the whole Desker Road. But step into the quaint fusion restaurant, and you’ll be greeted by a space that you likely won’t forget anytime soon, its very walls inviting and warm as staff greet you at the door and welcome you to their humble establishment. 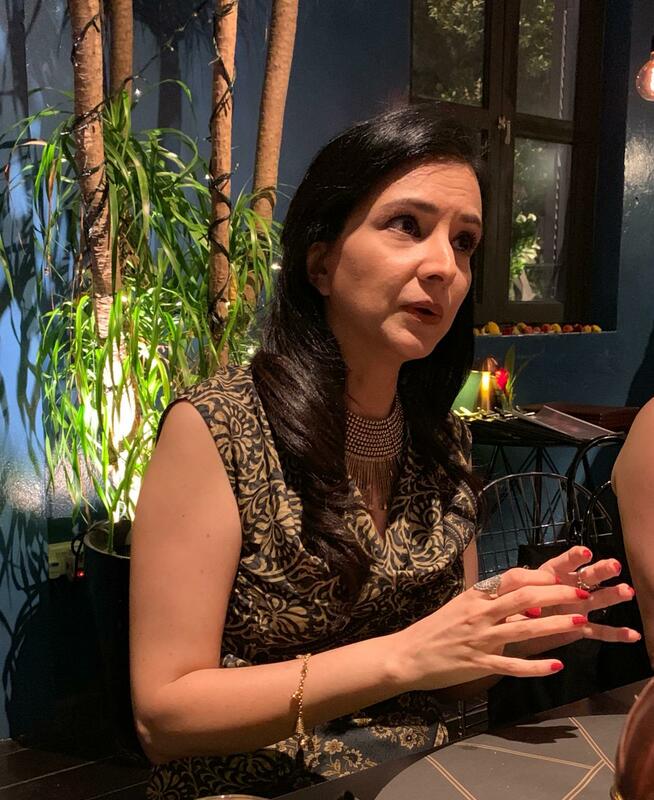 For the 2019 edition of ARTWALK Little India, CreatureS volunteered not only their refurbished shophouse space, but also came up with an entire five course-menu to complement master storyteller Kamini Ramachandran’s The Scent of Memories, an experience that married F&B and storytelling to celebrate and share about the history and culture of Little India. Held on the second floor of the restaurant, one is immediately struck by the way the space has been set up, the scent of fresh flower arrangements wafting in the air and a tray of spices on each table, setting the mood for the night ahead. 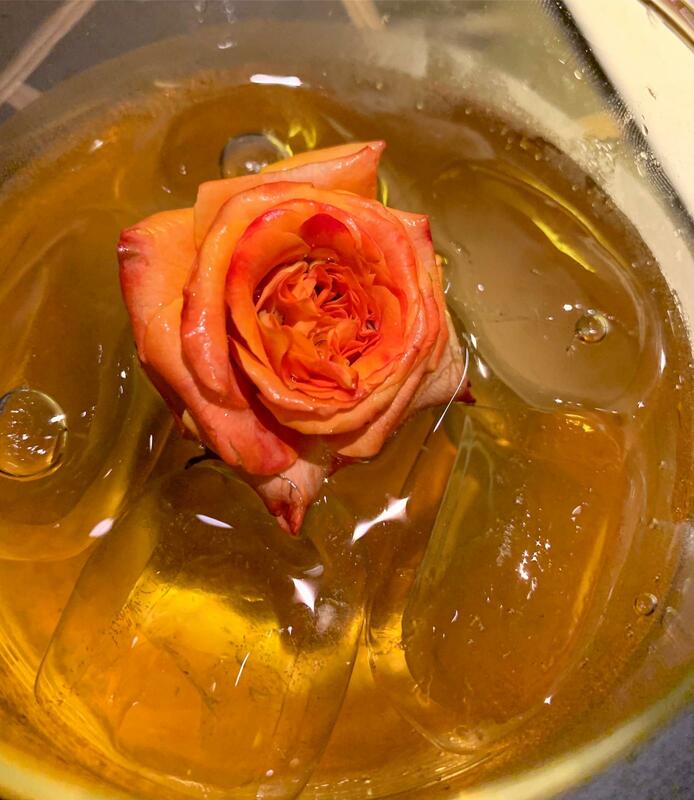 We began the evening with a Darjeeling Tea Spritzer to welcome us, a sweet start to the night with the drink adorned with a beautiful Indian rose, before our appetizer of Watermelon Globes with Masala Mayonnaise, Walnut, Coriander & Mint Leaves arrived as well. 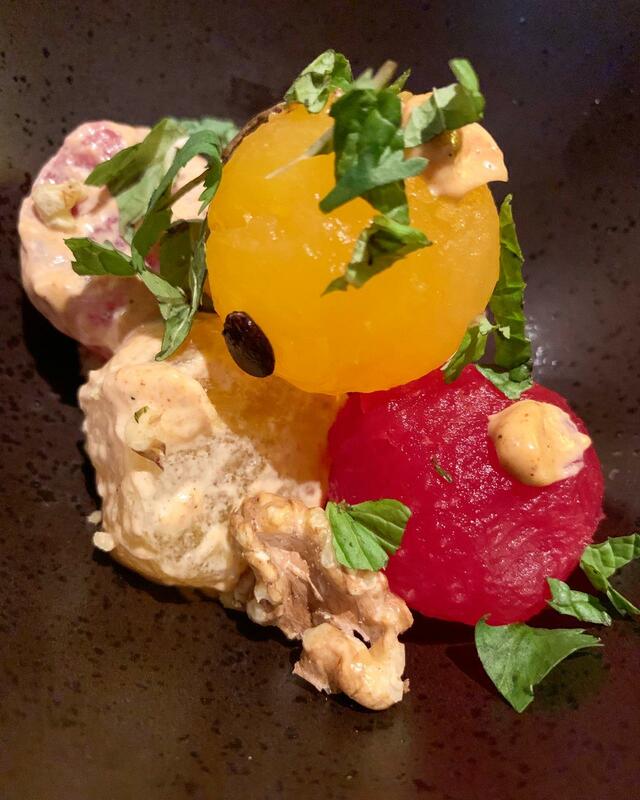 Utilising two different colours of watermelon (yellow and red), the dish made for a visually tantalising start, while the coolness of the watermelon was brought out by the taste contrast from the spicy masala mayonnaise, a good, refreshing balance of flavours to open our palates. 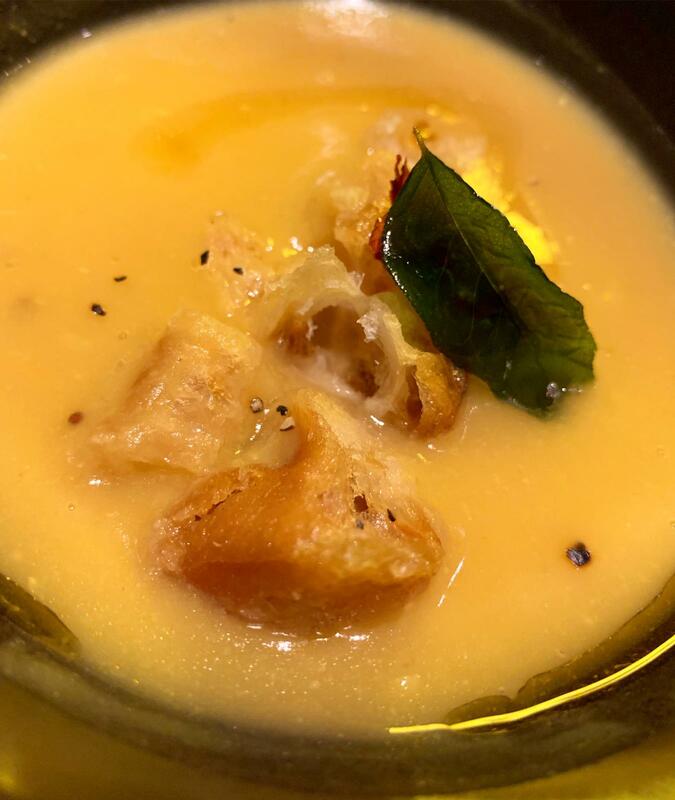 At the same time, we were served with a well pureed lentil soup, a dish that wasn’t too overpowering with its lemon zest and taste, and was complemented well by the fried dough fritters and garnishing of curry leaf and fried dried chili to add that extra kick. Moving on to our starter, we were served two hand-made gyozas – the first, with a well seasoned chicken tikka stuffing coupled with a cool yogurt, paying homage to Indian cuisine as it married both flavours in a single bite. 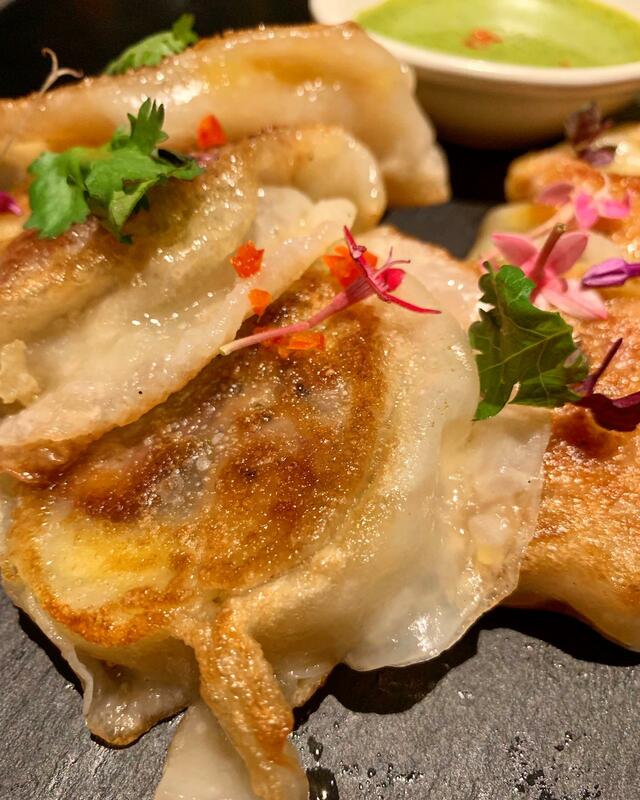 As for the second gyoza, one felt it was nothing short of extraordinary, filled with foie gras and mango chutney, that tempered the rich flavour of the foie gras. We were impressed with how the seared foie gras remained tender and delicate within the gyoza’s skin, considering how the dish requires a double cooking method – first the foie gras, and then frying the gyoza, and above all, tasted fantastic. All the while, Kamini is making her way around the tables, taking just five minutes of our time in between dishes to share a brief tale with us. As she sat down with us before our main courses were served, Kamini shared her own motivations as to why she became a storyteller in the first place, carrying on a family tradition pioneered by her own late grandfather back in the days of coolies and immigrants, lives peppered with issues of gambling and prostitution and hard labour. Thankful for CreatureS’ willingness as a partner venue and restaurant, Kamini explained her choice this year to focus on the twin roads of Rowell and Desker Road, and the unique space that CreatureS brought with it as an ideal space to regale us with her tales of the past. Sharing about the history of migrants and how difficult life was in the past, Kamini raised a good point about the power and importance of storytelling culture, where those in the past might even have had to share a single newspaper amongst an entire house, leaving the storyteller to gather the household around seated on banana leaves to be entertained by epic mythology and folklore. It is then that Kamini begins her tale, seamlessly telling a story of a woman whose children never had the time to listen to her. Burdened by the weight of all her tales, the woman quite literally grows heavy and huge, cast out to live on her own. It is only when she cries and unleashes the many thoughts and feelings within her that she returns to normal, effectively illustrating Kamini’s point for the night – as we gather around the table, whether as friends or strangers, one remembers the oft forgotten value of communal eating, and the joy of simply sharing about one’s self and stories with the people around us as society becomes increasingly distracted by our digital devices and issues far from the table. For our main dish, one was given a choice between cod, lamb and a vegetarian option (we selected the cod and lamb). 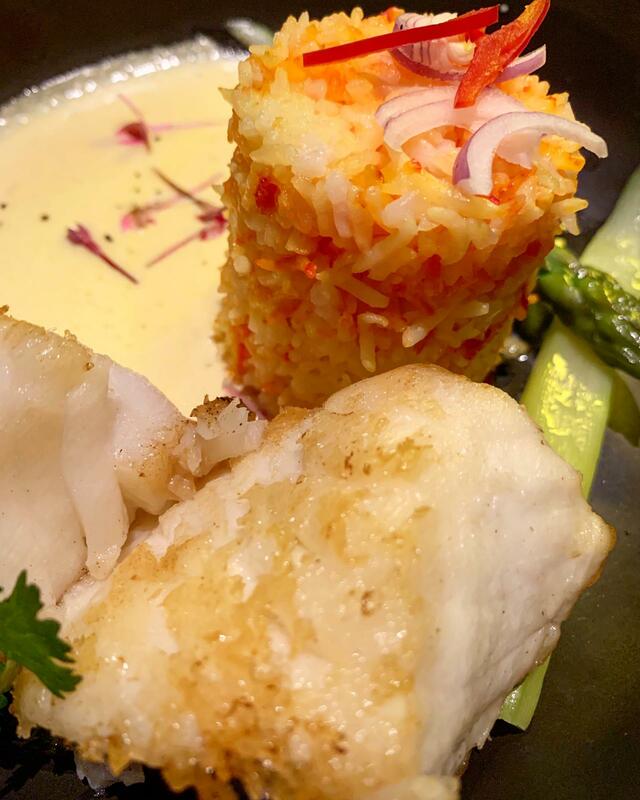 The pan-fried cod was gorgeous, glistening in the light, and was served with colourful basmati rice. The rice, in red and yellow, reminded one of the flowers around the restaurant, and the rich saffron cream sauce it came with was a wonderful complement, where one can imagine the dish as a sort of risotto when the rice is mixed with the saffron sauce. Couple that with a bit of cod, and you have joy in every bite. 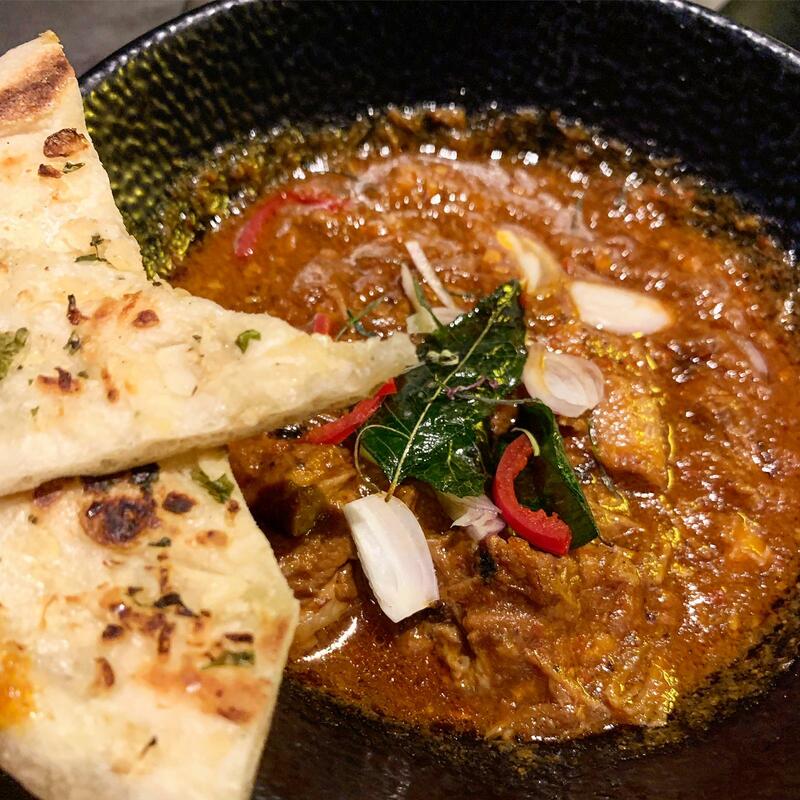 As for the CreatureS spicy lamb stew, this dish served up a generous portion of well seasoned lamb, packing some strong flavours each time we dipped the garlic naan it came with into it. One can imagine an old form of communal eating as one shares such a dish amongst dining companions, dipping the naan and sharing our accounts of how our day went. 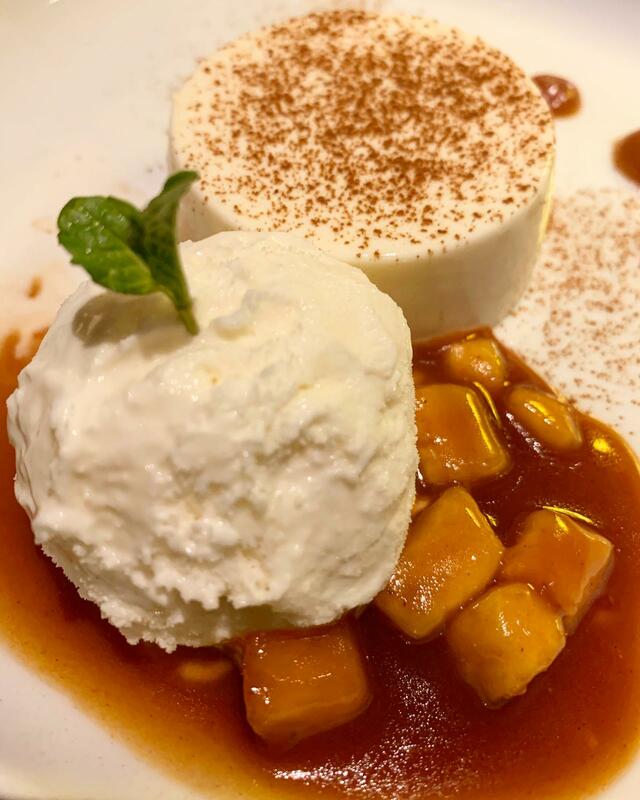 Finally, for dessert, we were served a cardamom panna cotta, with spiced caramelised banana and coconut ice-cream. For us, this was a surprise hit, considering how we’re often wary of how strong spices can taste when used in desserts. But in this case, the flavours were well balanced, with just a sprinkle of cardamom powder on the beautiful, smooth and wobbly panna cotta. The flavours of the thick, caramelized bananas and coconut ice cream went really well together, and overall, made for a sweet, satisfying finish to the meal. Whether seated with friends or strangers, what guests left with that night, besides full, satisfied bellies, was new knowledge of Little India’s rich cultural heritage and history. We feel a renewed sense of community amongst us as we sit with our compatriots long into the night, and talk, talk, and talk for hours more, thankful for the reminder of the importance of listening and sharing with those around us. Flowers of the Night played on 1st and 2nd February at CreatureS, 120 Desker Road, Singapore 209639 as part of ARTWALK Little India 2019.